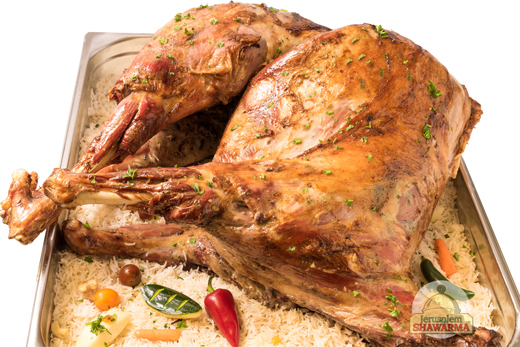 Pre-order is required for Dubai Roasted lamb. Call (403) 400-6994 to place an order. Comes with rice, roasted vegetables, sauces, drinks and deserts. 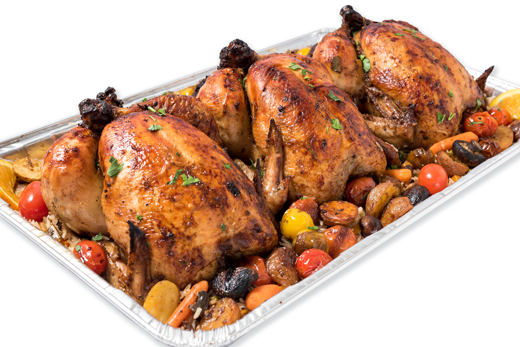 Pre-order is required for Jerusalem Rice-stuffed Roasted Chicken. No need to pre-order, just order when you need by calling us at (403) 400-6994 or stopping at our restaurant. How to get started with Jerusalem Shawarma catering services? First, it is important to know how many people are attending the event. Once you have a number, check to see if there are any guests with strict diets as you don’t want anyone to be left out hungry. With those two in mind, you can go ahead to step number 2..
To select the food needed for the event, please contact the location you want to order from and place the order. If you are unsure if a certain menu item is going to be enough you can ask us and we will clarify.